Charlotte Rowland on an insightful journey into the mind of Virgina Woolf, with Alexandra Harris. ‘I widen my landscape’, writes Virginia Woolf, circa September, 1930, in a diary entry discussing excessive need for meaning, and the uselessness of writing without it. And, speaking on Woolf at the Anthony Burgess Foundation for a sold-out MLF event, Alexandra Harris refers to this idea of exposure precisely. Here to promote her latest book, Weatherland, Harris’ concern with the effect of the external on the internal mind of a writer is fixed. ‘Woolf works through senses in her diaries’, says Harris, as she introduces the evening. And, yet, to expand what we know, we must wash ourselves of experience, solitary and communal, and look for new material to condense into a paraphrase of emotion and response. For Woolf, however, harsh hours of fever, away from social scenes, haunt criticism of her approach to writing. But, as Harris argues, there is much to be said for the idiosyncrasies existing within that framework. For, if she couldn’t walk or participate, Woolf travelled imaginatively, making up for the spaces she failed to inhabit by allowing her mindscape to travel. Thus, stillness, for a writer, is thwarted. The traditional image of a writing woman confined to a room of her own is true; this is what Woolf fought for. But so, too, is it true that Woolf believed in taking liberties with one’s own mind, and thrashing the expected categories. Woolf, Harris point out, wrote on America, flying and the meaning of old white marks on old white walls. 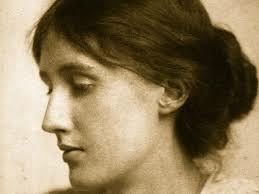 Three states Woolf had never experienced, but which, in her consciousness, she felt, understood, and knew. In response to an audience question (1 of 5, all referring to Woolf’s position as woman), Harris explains ‘Woolf was playing with a world of received messages’; referring, in part, to the way Woolf constantly explored landscapes and language indifferently, in spite of any confinements. Woolf wanted space, and she knew the value of finding but not keeping. Her writing was her retrieval from these ventures; her language the product of what it is she sought. Harris’ new book, examining writers and their relationship to weather, and the influence of one on the other, likewise portrays this sense of constant examination and passing. Part of writing, perhaps, is nostalgia for scenes and visuals we cannot otherwise contain. Or, in the case of Woolf, it is longing; longing to fill gaps; fill time; fill one’s mind with the lure of the new. And Woolf’s mind, renowned particularly for its run-on sentences, fittingly, in her 1931 novel The Waves, connotative of climate and expanse, is, perhaps, governed by this lure exactly; weather-like: constantly changing, and finding form only through use of external spaces. Even the title, derivative of vast horizons and new territory, spells out the candid freshness Harris argues Woolf was leaning toward. Yet, maintains Harris, for writers who inhabit the paradox of exploring without physically moving, disregarding all sense of place is as sensitive as it is provocative. In the case of Woolf, it is her attention to detail, or what Harris labels ‘use of the small’, which allows her inquisitive perceptibility to rear such broad and immaculate material. Take, for instance, Woolf’s idea of Hitler at the end of a continuum, at the other end of which sits the innocent bread-winning father, head of the family table. These are the kinds of leaps Woolf was lenient enough to risk. Accepting her limits as an individual meant, rewardingly, accepting her freedom as a writer. To write, a writer must forgo the personal, the straightforward and the comfortable in favour of a distinct urge to reveal, favouring new subject over old; curiosity over comfort; motion over fixed subject. And, as Harris points out, Woolf knew this. She knew it enough to crave the satisfaction of abandoning all sense of oneself; to distance herself from the mighty weight of immediate, limited circumstance. It may be over-conclusive to say exploring and writing are of one and the same, in structure. Yet, from Harris’ critical insights, Woolf’s nobility and leniency in becoming and being a writer, and a fruitful discussion on how internal and external states may or may not combine, it isn’t too much to suggest that the pioneer; the one going forward- is, by being motivated by a distinct need to advance, not unlike the writer, who advances privately, shifting their perceptions in order to grant change. What is revealed, as Harris closes, is that the act of revealing itself, not unlike a revelation, is paramount; necessary, even, to the writer wanting to return with something new, ready, having explored circumstances both of and beyond their own, to tell; to give; to say willingly. Charlotte Rowland is a writer and reviewer currently working on a pamphlet of selected poems, as well as a critical study on the topic of hands in poetry. Other favoured subjects include: light; openness; intimacy; the physical; use of stillness.